For the thousands of Arizona youth currently in foster care, obtaining a college education is an achievement that may seem out of reach. But Arizona State University and national nonprofit First Star are working together to help these students envision a future that includes higher education through the First Star Arizona State University Academy. The free, comprehensive four-year college access program provides high school-age foster youth with the academic support, enrichment and resources needed to enroll and succeed in college. The collaboration blends First Star’s mission of preparing foster youth for higher education and adulthood and ASU’s commitment to providing access to higher education for all Arizona high school students. First Star partners with universities, child welfare agencies and school districts across the country to develop college-preparatory programs, provide technical assistance and advocate for policy change. To date, they have partnered with 12 U.S. universities, including ASU. The First Star ASU Academy comprises educational and college prep opportunities delivered during a three-week residential summer program and monthly workshops throughout the following academic year. Through the program, students participate in academic courses for college credit, independent studies, social and cultural activities, field trips, service learning and more. They are also offered resources via ASU Prep Digital’s online learning platform, including test preparation, STEM curriculum and other academic enrichment. The program launched at ASU in 2017, with the inaugural cohort of students beginning in summer 2018. They started with their three-week residential program at ASU’s Polytechnic campus, where they lived in residence halls, attended workshops and activities and got a feel for what college life is like. Throughout the 2018-19 school year, the students have attended monthly First Star ASU sessions on ASU’s campuses. The sessions are focused on academics, life skills and caregiver engagement and cover topics including English, STEM, SAT/ACT test prep, career preparation, financial literacy, self-advocacy and mentoring. Programming offered to caregivers focuses on helping them support the students in their college preparation journey and beyond. 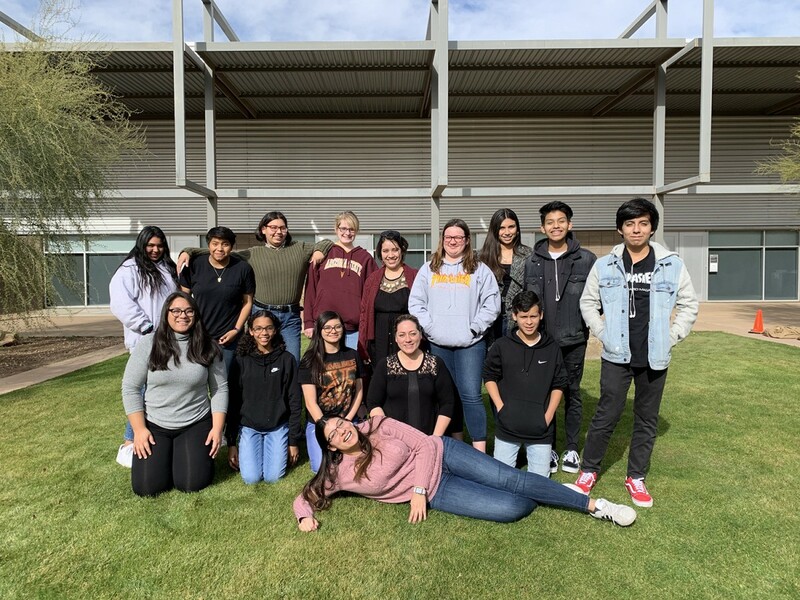 According to First Star ASU Program Director Gaby Jimenez, these workshops enable students to stay engaged with the program throughout high school, with the hope that they’ll be ready for higher education once they graduate. “Along with academic support, the monthly meetings provide both social and emotional life skills to help them become independent and prepare for college,” Jimenez said. Funding for First Star ASU Academy is provided through a $500,000 grant from WellCare Health Plans, Inc. The generous donation will help expand the program for students statewide by utilizing a hybrid of ASU digital learning platforms and residential summer programming. The program is currently recruiting students for its second cohort, which will begin in summer 2019. Participants must currently be in eighth, ninth 10th or 11th grade and be in foster care, residing with a family or caregiver in a group or foster home. They must also hold at least a 2.0 GPA on a 4.0 scale, have a good attendance record for the current and previous school year and commit to participation in monthly workshops and a three-week summer program. The priority application deadline is Feb. 1.